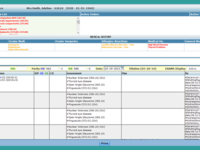 Ophthalmology practice management solution with patient portal, charting, revenue management, staff and patient movement tracking. Pros: iMedicWare is user-friendly software. Staff found it easy to learn. The software takes the patient from the phone call to optical and out the door with ease. It was amazing to me how all of the doctors, both with computer experienced and not picked up on the EHR and just loved it. So if I would sum up what I loved the best about the product from an Administrators view, I'd say the ease of use. And the vendor? The vendor was right there by my side thru it all - the support I received was amazing. Through the years I've gotten to know the group very well. They listen to my ideas and ask for opinions to always improve and/or make the system even better in this ever changing healthcare world we live in, and that is invaluable! Cons: It's not that I don't like the CL inventory/flow portion of the software, but we don't use it. We found that it was more work to keep up with it. We don't use the Optical portion of the software, so I can't comment on that for we use a management company for our optical. Recommendations to other buyers: I recommend doing your homework and reviewing other software out there, because you need to do this. Make a spreadsheet. Research on the ASOA/ASCRS listserv for opinions and experienced practices in the many different software vendors. Visit practices. I have had many practices visit us to see iMedicWare in action and that is a good way to see it. This is an important decision and one that takes a lot of time and thought and research, so do it. Pros: As the President of a medical billing company specializing in Ophthalmology, I had the opportunity to demo all of the recommended EMR and practice management systems available in the market today. We ultimately selected iMedicWare based on the ease of transition from our legacy system, competitive pricing, and customer responsiveness/service level. 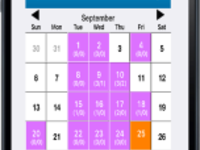 After using the system for over 2 years, iMedicWare has exceeded our expectations. Because of iMedicWare, our productivity has increased significantly with fewer staff members. From a management perspective, the system allows us to clearly track among other things, days in AR and physician productivity, which are key indicators in our business. The support team at iMedicWare has been instrumental in easing our transition to the new system and providing individualized support to address practice or physician specific concerns. Cons: The standard reporting function could be more robust, although customer support is very helpful with custom reporting. Pros: The application is very user-friendly. Its has a simplistic interface similar to a paper chart therefore data entry is logical and quick. I am able to see a full load of patients without the need of a scribe. Being web browser based is nice since you can access the program from anywhere outside the office. Test images and reports integrate nicely into the chart note. Ancillary staff training is not difficult. They also are always looking for feedback from their users in order update the software accordingly. This is an ophthalmology only company which is another positive. Cons: Overall, I'm very happy. Usage can get more complex due to meaningful use and PQRS requirements. I don't believe this to be an issue with this vendor but just the overall industry complying with the measures. Recommendations to other buyers: Make sure you are comfortable with the flow of the system and that is compatible with your office. Pros: From the CEO, down to the development team, to the technical staff, the iMedicWare team has built a culture of support. They've focused on hiring specialized staff that understand the specific needs of ophthalmology. Cons: iMedicWare is specific to ophthalmology, and the team works closely with customers on product enhancement. Enhancements often require additional training for staff and physicians. This is a benefit of the product, but requires customer resources to participate in training and support of new features. Recommendations to other buyers: Ophthalmology is a highly specialized. When evaluating other "Big Box" products, keep in mind that what you see is what you get. 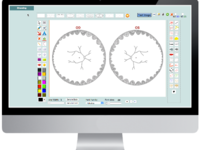 A big part of our decision to choose iMedicWare was their sole focus on ophthalmology and their willingness to work with the customer on product enhancement. With iMedicWare, we don't have to compete with other specialties to get our needs addressed. 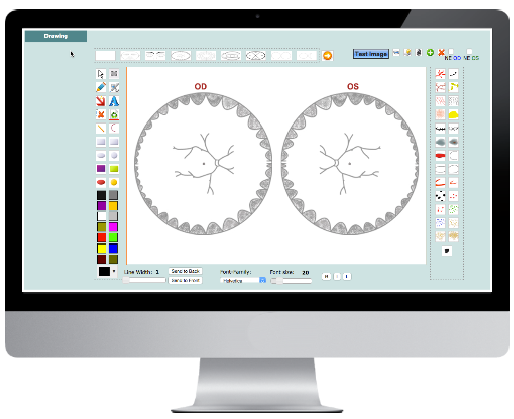 Pros: It has an excellent medical workflow for Ophthalmologists and Optometrists. Glaucoma and Retina flow sheets, Image import and interpretation, auto billing from the exam flow, contact lens fitting and trial lens recording, integration with scheduling module. It also has excellent Meaningful Use reporting. It's easy to convert from paper to EMR with iMedicWare. The staff adapts easily. Cons: I would like optical Module to bill directly to VSP. Recommendations to other buyers: Review the imaging import and customize it, same goes for the template types. It's very user-friendly. Pros: It is critical to a medical practice that the vendor's staff are responsive to our needs and that is what iMedicware has. In addition, the CEO/owner has an excellent understanding of ophthalmic pracctices & is responsive to our needs. Additionally, the company's Medical Director educates us on how to comply with Meaningful Use along with PQRS, and eRx. He also can assess and audit our compliance with regs and represent us in an audit, if necessary & that is a tremendous asset. Our ASC also uses iMedicware and it is user-friendly for both staff and surgeons. Having the same vendor for both the practice and ASC is cost-effective and efficient. Cons: Meaningful Use requirements, but this is obviously not the fault of the vendor! I believe we have made the right choice in choosing iMedicware for both our practice and ASC. Recommendations to other buyers: I think it is beneficial to visit an ophthalmic practice using the system and ask physicians, techs, billing, check-in and check-out staff how they like it & the time required to become proficient users. Pros: It's easy to use, and it's easy to teach new employees how to use the system. It's great for practices with multiple offices. It's very reasonably priced. The company stays on top of needed changes. It's one of the first specialty-specific EMRs to accomplish Meaningful Use Stage 2. Cons: We receive a slightly slow response from support on customization of the product for individual practices/doctors. Luckily, once you learn how to do it, most customizations can be done by the user without having to wait for it to be done by the company. Recommendations to other buyers: Watch it in action in a practice that uses it. You need to see how it affects your workflow. Pros: The listen and implement suggestions for improvement. Cons: There's not enough support staff. It takes a long time to resolve tickets or receive a call back. Recommendations to other buyers: Sample the reports to make sure they meet your needs/requirements, (e.g. financial reports, etc). Pros: I feel iMedicWare is a growing product that is innovative and provides the Providers and Practice managers with not only the essentials, but also with concepts that can be considered next generation to enhance there practice. The customer service and availability. They are available when you need them and always follow up on the issues. Cons: The system could always provide better training when new products are released. Recommendations to other buyers: Really take the time to appreciate the detail and concepts of the software. 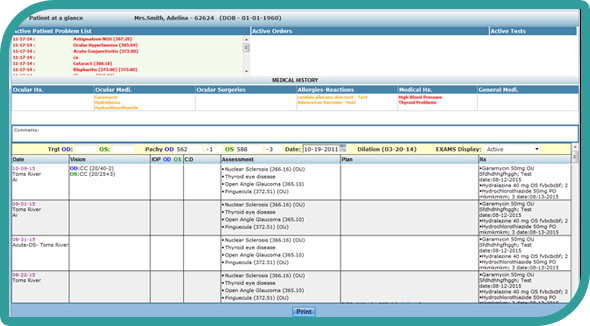 Pros: Despite my misgivings about transitioning to EMR, I found iMedicWare to be a very comfortable and easy solution. My staff found it quite simple to use, and I was so happy that it did not slow my work down, a fear that I had. I must say that in terms of cost and value, it could not be better. Cons: I wish we could have implemented a bit quicker, although that is partly our fault in being indecisive. Recommendations to other buyers: They provide excellent "hand holding" during the set up process, which was invaluable.